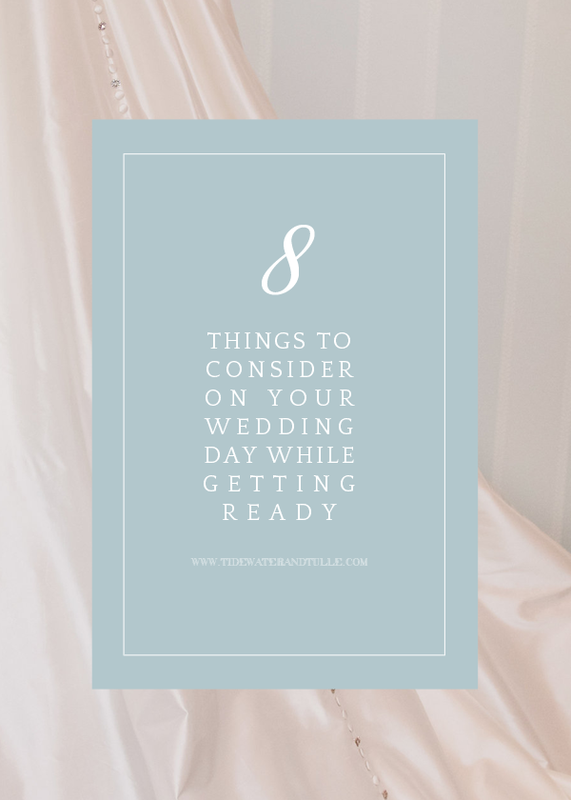 From well-lit hotel rooms to childhood homes to favorite salons, there's everything to consider when you're getting ready on the big day. 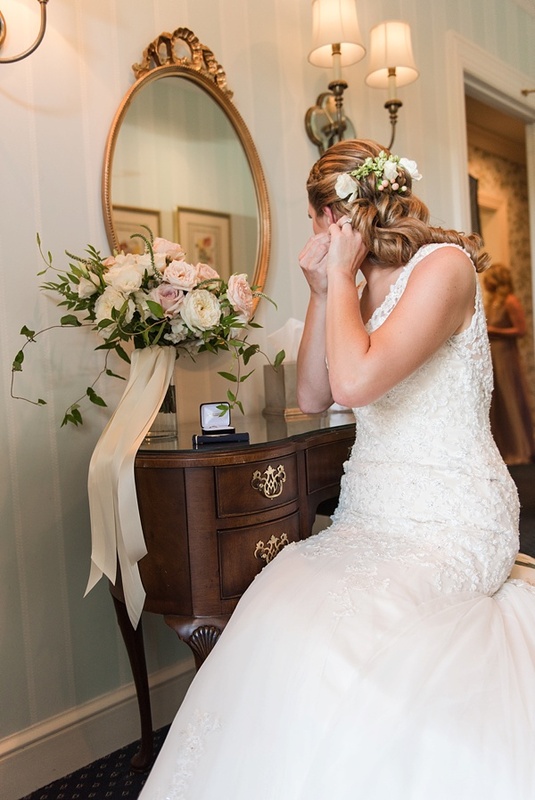 We're so excited to have vendor fam and professional wedding photographer Meredith Ryncarz Photography to share some of her top tips when it comes to what you need to think about when the wedding day arrives... because it has all to do about comfort and your how your wedding photos will turn out! The day is almost here! You found the perfect flowers, the cake is going to taste amazing, and you have the best bridal party ever, so what more is there to consider? What about getting ready? As a photographer, I have found that this portion of the day is sometimes the most overlooked but can set the tone for the rest of the day and your timeline. To help get your party started on the right foot, here are 8 tips to make your morning work for you. When planning where to get ready consider where you want this to happen. Most people either choose to use the rooms provided by the venue or church. However, if there isn't one provided, they may opt for a family home or hotel. All these options are a great start but you want to make sure that when picking your location, that there isn't a lot of travel time from there to the ceremony location. The less travel time there is, the better. The size of the space can matter when you start considering how many people will be with you while you get ready. If you are considering a small space but have a large bridal party, you may find yourselves tripping over each other. Don't forget that you will most likely have three to four additional people there as well to include your makeup and hair artists, photographer, and videographer as well as makeup, curling irons, and camera gear. This starts to make small spaces feel even smaller and very chaotic, the opposite of what you want to the start of your day. So what happens if the previous suggestions ruled out any location you were already considering? What if none of the locations you were looking at are close enough to your ceremony site or are very small? What if I told you there was a magical unicorn of a getting ready room with enough space for a bridal party, beautiful serene interior, and the location was perfectly situated to any venue you picked in the Hampton Roads area? Enter the mobile spa that is Dove and Daisy Spa. 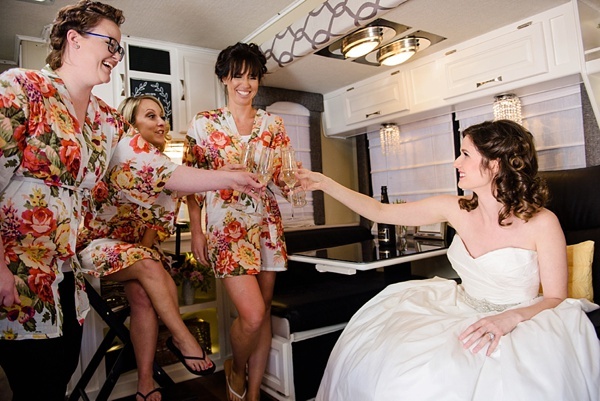 The interior can be customized to your wedding day colors and has plenty of space for hair, nails, makeup, and all of your bridesmaids. We're pretty lucky to have this mobile option in our area! Getting ready in a space with big windows and lots of light will make any space that you pick seem bright and cheery. It also allows the photographer to move around more freely without lots of extra gear like light stands. Don't have a big window? Ask your photographer or wedding planner for suggestions of alternative locations or advice on what to do about creative lighting. • Yummy snacks and drinks for both the bridesmaids and groomsmen to eat while getting dressed. 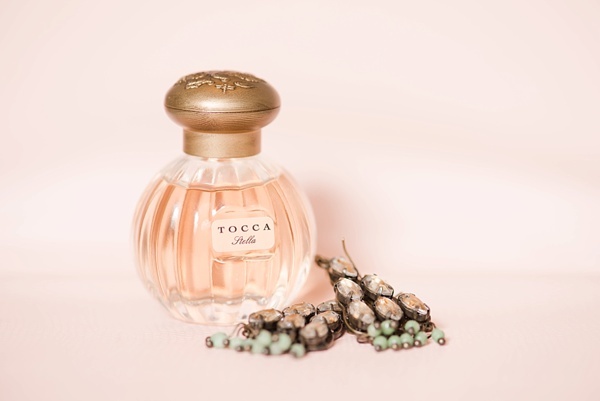 • Something cute, soft, or comfortable to wear while getting ready-- bonus points if it's coordinated in color or theme. • A nice relaxing scent in your space will also shape how the day feels. Either a candle or if that isn’t allowed a diffuser of some sort. This helps create that spa-like feel. Don’t forget the guys either with a nice spruce or cedarwood smell for them. • Music for both the girls and the guys. Have fun making a playlist together or pop on Pandora. This will add that last little bit of icing to your morning whether it's a song to get you all dancing or something mellow and soft. Once you are there getting ready for your day you will need to hang up your dresses and suits. Often they are still hanging on the dry cleaning hanger or a plastic one from home. While they are functional and serve a purpose, they aren't the most photogenic for your wedding day photos. Pretty hangers made out of wood, carved, or painted with glitter can be found on Amazon, Etsy, or BHLDN and come in lots of different styles and price points. Once you get the hanger, make sure that your wedding dress will stay on it. Gowns with heavier beading or silky straps may fall off smoother hangers that don’t have the divots in them. There are two big reasons to keep your getting ready space clean. The first is that it is easier to find what you are looking for when things start getting busy, and it also keeps things from getting lost or left behind at the end of the night. The second reason has everything to do with your photographs. If the space is kept clean then the photographer can work quickly and efficiently while giving you amazing photographs with no stray water bottles or purses in the background. Designate a space that will not be photographed (like a closet or one corner of the room) for all your personal items to go at the beginning of the morning, and this will keep your space organized and serene. All photos by Meredith Ryncarz Photography. Get to know Meredith more and see what it's like to be an MRP bride through her behind the scenes video. And to get more great bridal tips like this, subscribe to Meredith's monthly newsletter!